[tweetmeme] The framework in which you ask people to perform has as much bearing on the outcome as their raw ability – just ask a fugu chef, a WWII parachute packer, or the financial controller of a train company. 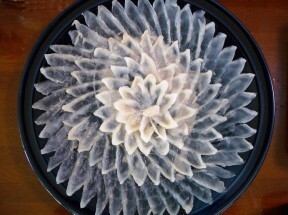 Fugu – or Pufferfish – has been consumed in Japan for centuries. It is lethally poisonous if prepared incorrectly. The organs and skin contain Tetrodotoxin which will leave you fully conscious, while paralyzing the remainder of your body. You will die somewhere between 4 and 24 hours later. There is no known antidote. It’s illegal in the EU. ”I cannot see her tonight. Only certified chefs can prepare it – and there–in lies the most absolute incentive-framework on the planet: For the final exam, the chef must eat the fish he has prepared. You can guarantee all fugu chefs are excellent, by the very fact they are alive. The framework defines the outcome. In a similar vein US parachute packers during WWII took enormous pride in their 99.9% parachute-opening success rate. In their view, one paratrooper out of a thousand dropping like a stone was not a bad failure rate (obviously disputed by the paratrooper in question, who’s ‘failure rate’ is 100%). Any loss of soldiers due to accident is not good. So the obvious quest is to get a perfect success rate. How do you do that? You change the framework: Once a week parachute packers were asked to make a jump with a parachute. But not one of their own parachutes. One chosen at random. From anyone of the packers. When the UK’s rail network was privatized the operation of trains was separated from the management of the track allowing multiple operators to run trains on the same line: Competition – the basic tenet of privatization. Taken to its logical extreme that system demands each operator have a ticket office at each station, and ticket inspectors forcing passengers to leave a train if they hold a competitor’s ticket. Clearly, parliament wouldn’t have passed that bill. To make it more acceptable legislation was put in place to guarantee two things – the practice of purchasing one ticket for one journey, and the right to purchase an ‘open’ ticket for use at anytime, including at the time of purchase. This gave birth to a negative-incentive. In order to ensure the ‘turn up and go’ ticket revenue was distributed fairly it was decided to split it according to the relative frequency each operator provided a train after the costs of running the station are removed (it’s a little more sophisticated than that, but more detail provides little additional clarity). An operator providing 60% of the trains will receive 60% of the ‘turn up and go’ ticket revenue after costs, whatever train operator the customer actually used. But not for the customers: The revenue-split calculations are fixed for years at a time. For those years the train operator has little incentive to make their service any better. Legally, they can’t reduce their number of trains. Practically, they can’t increase their number of trains because the timetable is full. So their only opportunity for more revenue is to provide a lower level of service: Less frequent cleaning; fewer staff; less staff pay; fewer staff benefits. And – the biggie – fewer carriages on each train.